If you have previous kayaking experience and you’re interested in doing a self-guided paddle, we would be happy to provide you with kayaks & gear through our rental department. At the time of rental we will ask you to give some background regarding your previous kayak experience. We are not trying to put you on the spot – this is done only to ensure your safety and that you’ll receive the appropriate type of information to prepare for your rental. At least the primary renter should be capable of performing a self-rescue and comfortable assisting or rescuing others in the case of a capsize. If you have an ACA certification or skills card, please let us know when you call to make your reservation. Because of the nature of the Coastal Waterways, paddlers should comfortable paddling in tides and currents without a guide. If you are unsure of the area, join us for one of our fun guided trips to help you gain some paddling experience. These rates are for our Downtown St. Marys Location. 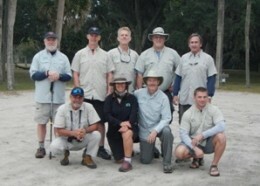 All shuttles include drop-off & pickup of kayaks and gear. Longer shuttles are also available, call for details and pricing. Life Jackets (PFDs) must be worn and fastened at all times while on the water. You are responsible for any damage to the kayaks that occur during your expedition. A security deposit is required for all kayak rentals. 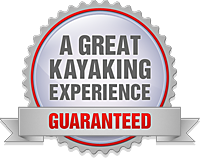 experience requirements and assume responsibility for the kayak and gear. Rental Gear and Kayaks should be returned in the same condition they were in when picked-up by the renter. Any damaged gear will be repaired or replaced and charged to the renter at fair market value or replacement cost. *PLEASE KEEP GEAR REASONABLY CLEAN. CLEANING FEES MAY BE CHARGED FOR ANY GEAR OR KAYAK REQUIRING EXCESSIVE CLEANING. Please download and sign the Kayak and Equipment Rental waiver and present it when picking-up your boat(s) and equipment. To plan your trip, visit our Paddling Resources page for Tides, Weather, Maps and other trip planning resources.